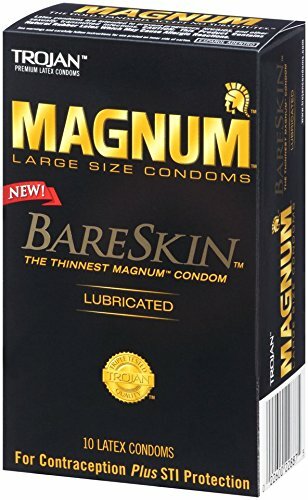 The BareSkin condom collection from Trojan offers you the thinnest condom yet for heightened sensitivity during rumpy pumpy. 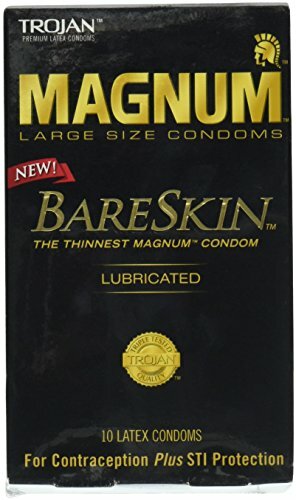 The large BareSkin condoms are wider than Magnum’s standard style, for men who feel like regular condoms are too snug for them. 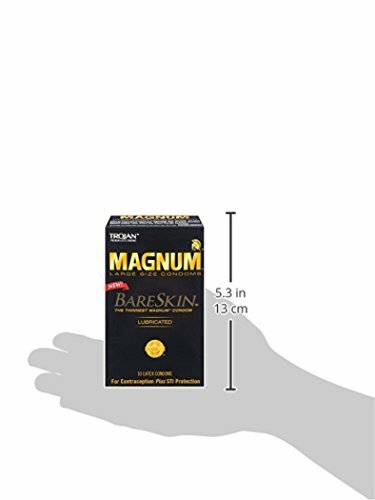 Coated in a smooth lubricant for enhanced shared sensations and tapered at the base for a secure fit, each condom is designed for your pleasure and complete peace of mind. 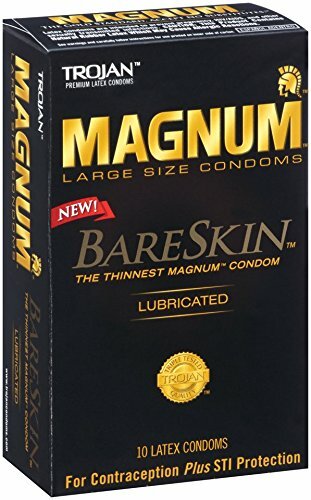 Boasting a wide, contoured shape to ensure the wearer won’t miss a thing, these are a top choice for the well-endowed gentleman. 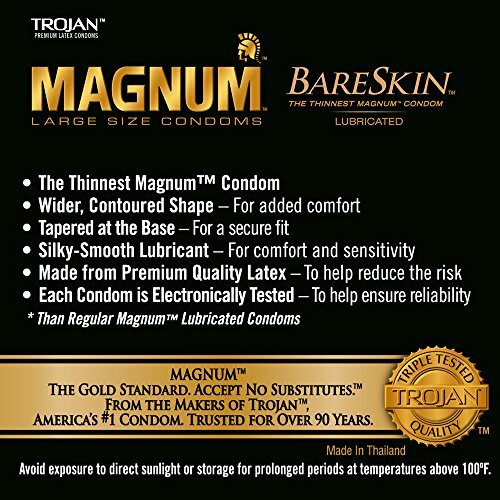 Each Magnum BareSkin condom is electronically tested, to reduce the risk of breakage and ensure protection against pregnancy and STDs.